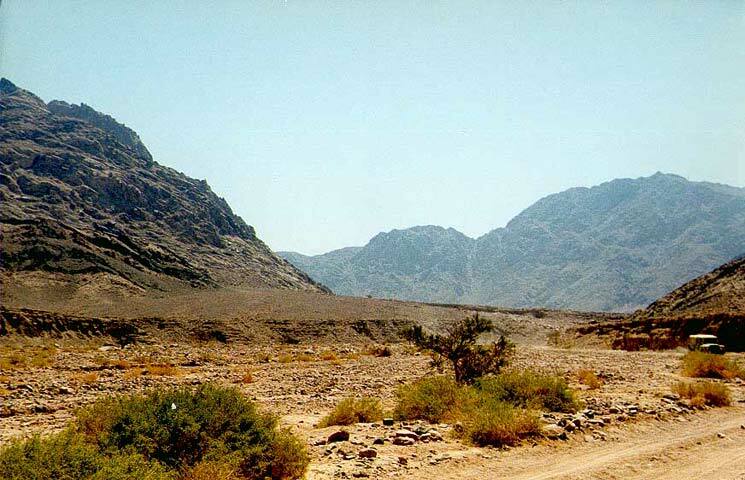 The Red Sea mountains; through the Wadi Yutm to Aqaba. 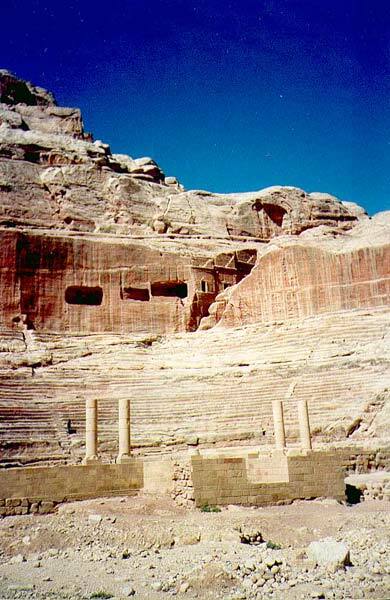 The theatre at Petra, cut through ealier Nabatean tombs; it seats around 6,000 people. 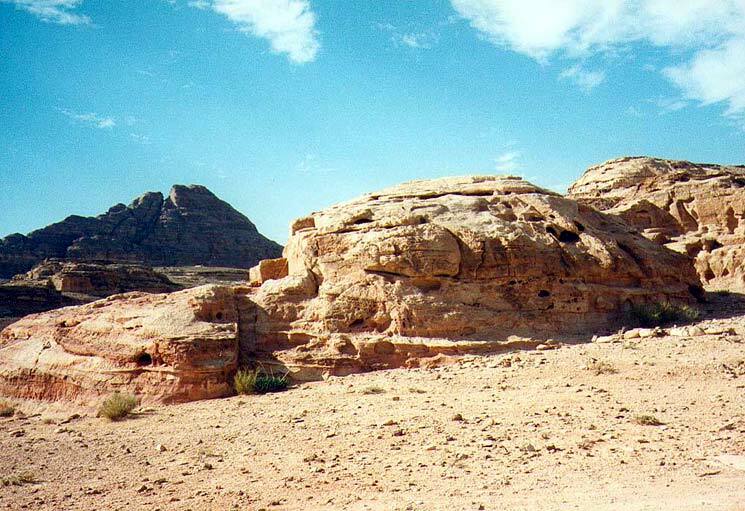 The steps lead to a Nabataean tomb concealed in the folds of the rock. 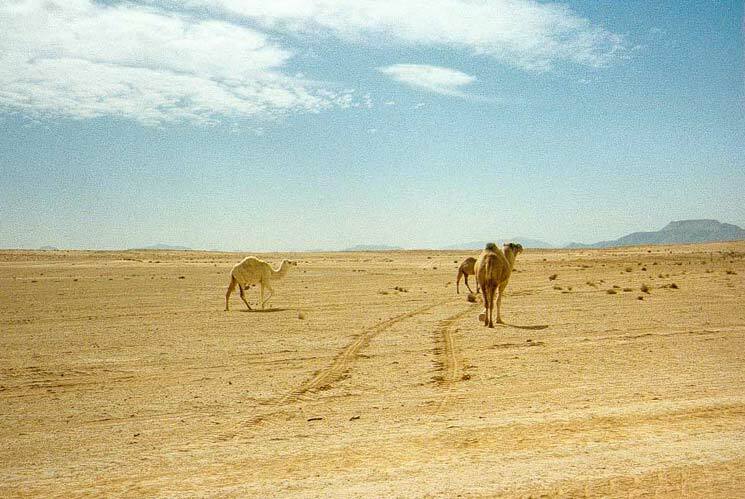 Camels in the Hisma desert; worth up to £1,000 each, they roam free, branded to indicate their owners. 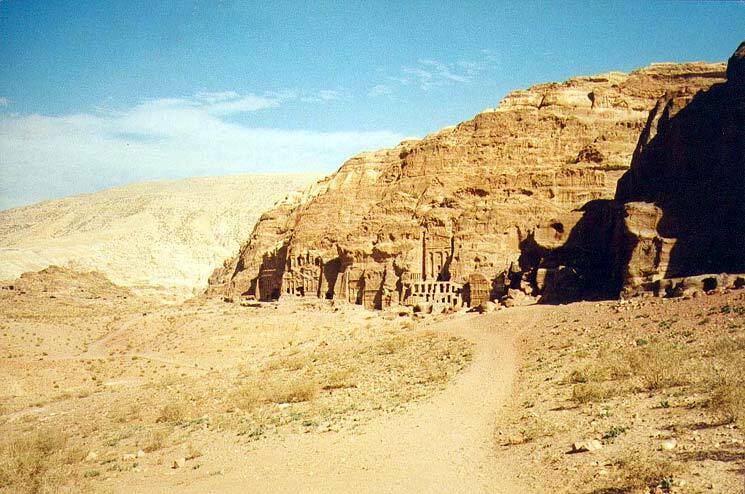 The Royal Tombs at Petra - the most elaborate examples we have of Nabatean architecture. 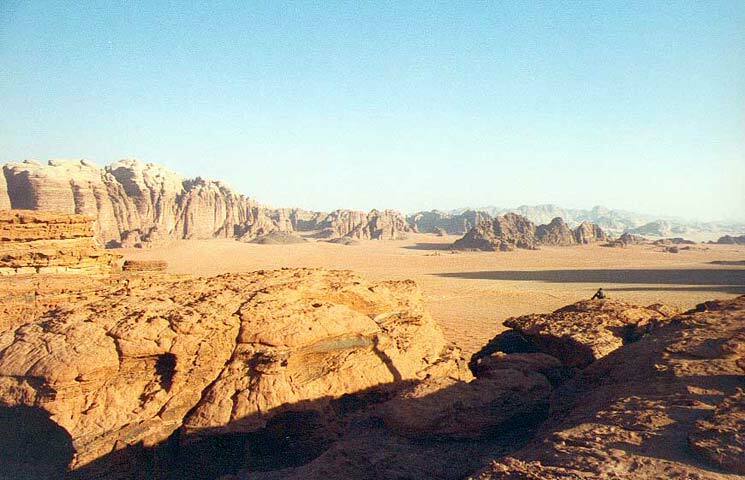 Evening in Wadi Rum; we sleep here on the way to Aqaba, sheltered by the great cliffs. 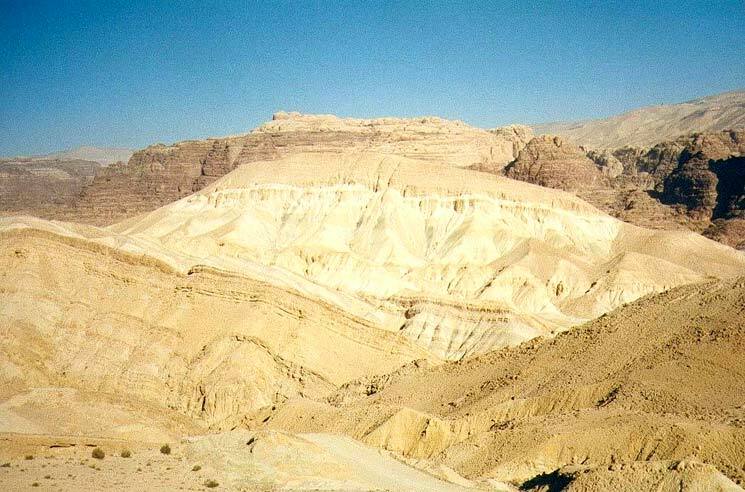 Wadi Nimla in the Dead Sea rift; camel caravans stopped here on the ascent to Petra. 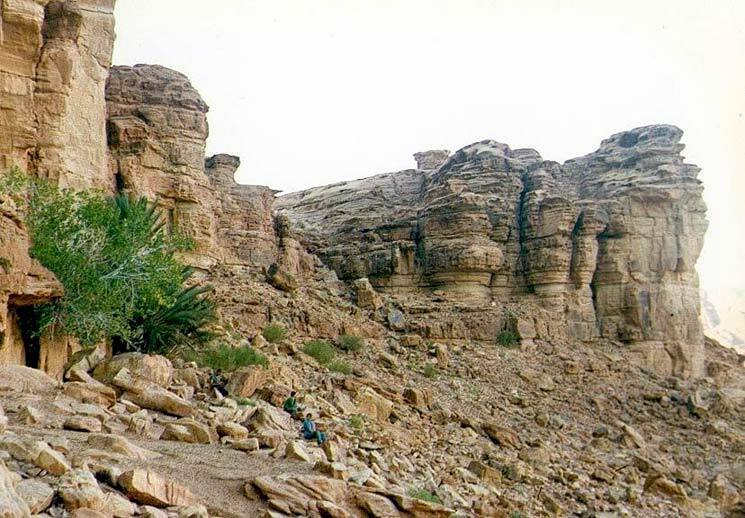 Jebel Ain Ghazal near Rum - figures at bottom left to give a sense of scale. 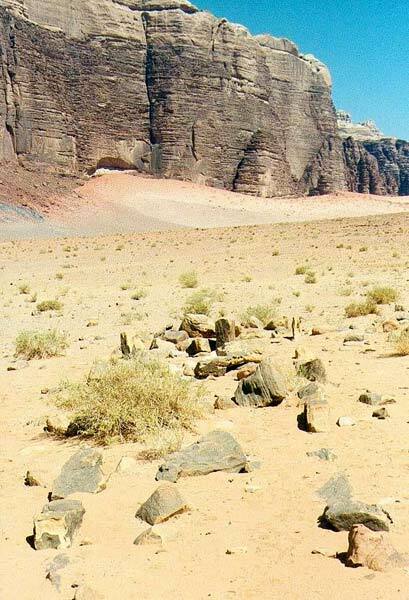 Nabataean cisterns at Jebel Ain Ghazal - the plant rowth shows us where to find them. 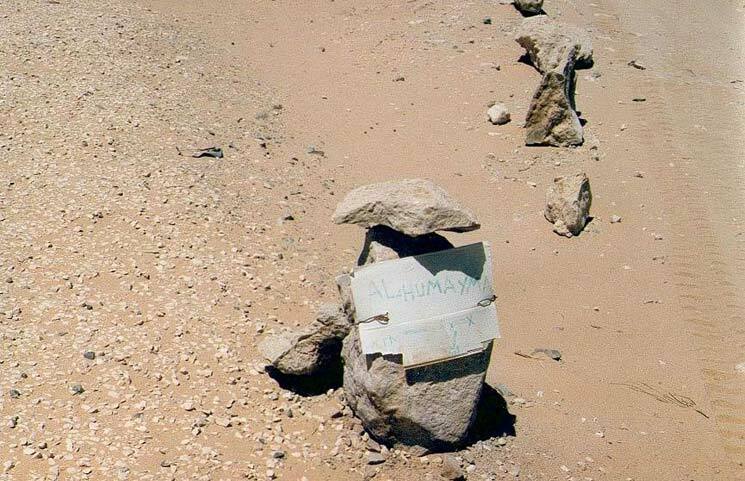 Signpost to the ancient buried city of Humeima - this is as close to tourist information as it gets. 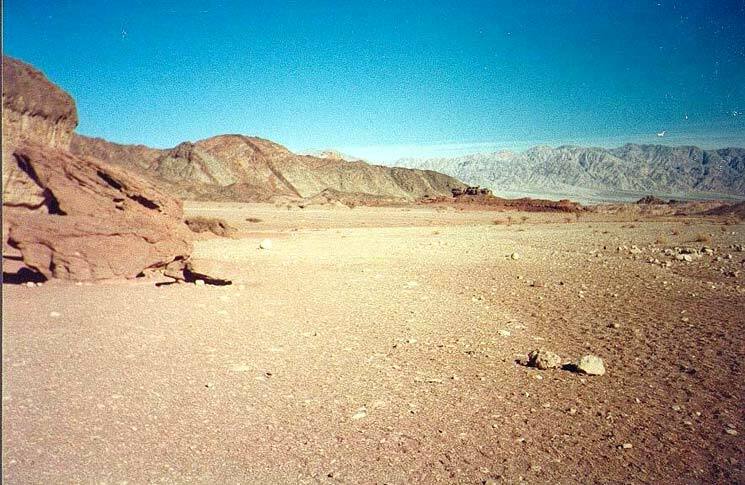 A wayside grave in the desert - the bedu are buried near known tracks. 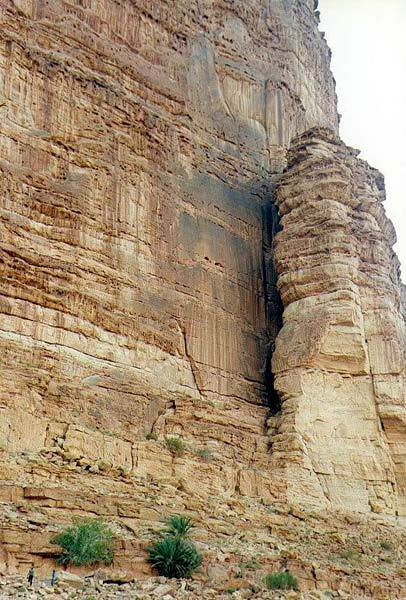 The Wadi Farasa, on the way up to the High Place of Sacrifice in Petra. 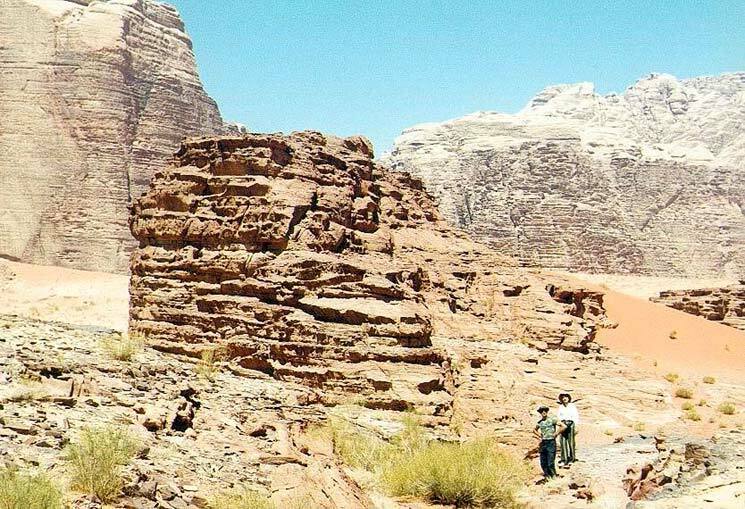 The Emperor Diocletian sent Chritian slaves to work the copper mines in these hills, at Wadi Feinan. 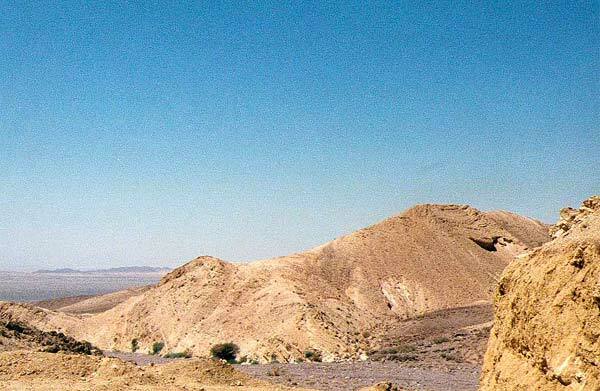 We can walk down through these beautiful mountains from Petra to the Wadi Araba, following the ancient caravan route. 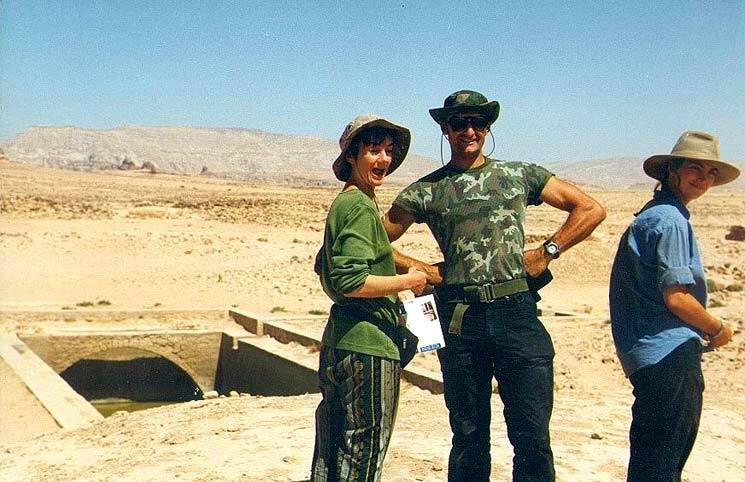 We can't remember the joke, but look at the cistern - Nabataean, but restored and in use by local herders. 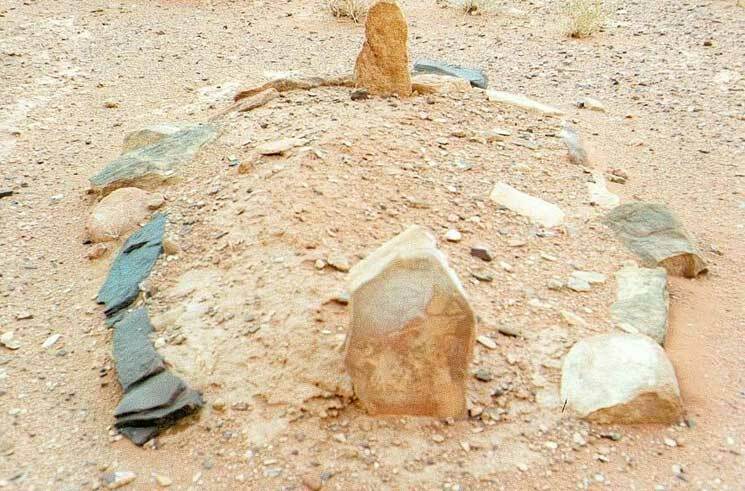 A Bedu grave - the occupant will be buried to face Mecca.